Costa Rica is a real haven for the fishing enthusiast with its two coastlines, multiple rivers and wetlands as well as lakes. Other than locals fishing for commercial purposes and tourists fishing for sports, Costa Rica also hosts world-renowned fishing tournaments in Quepos. 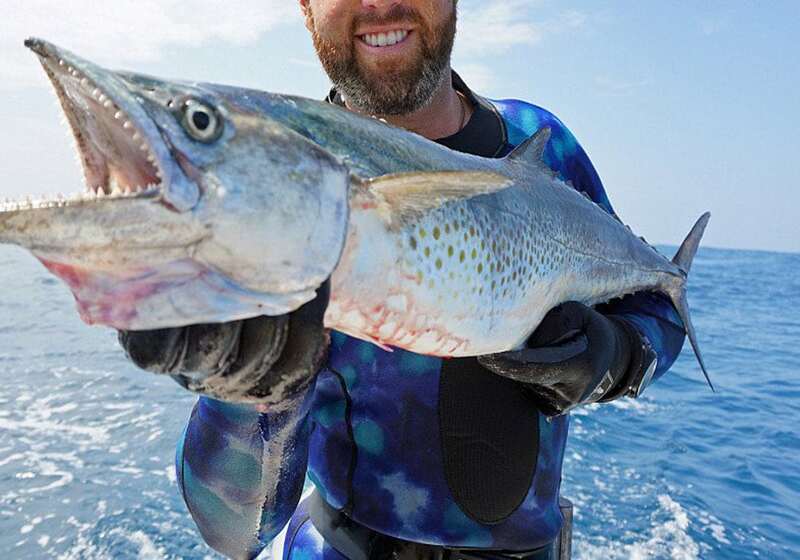 Because of the strong conservational efforts Costa Rica is now trying to encourage, all non -edible and all bill fish have to be released. 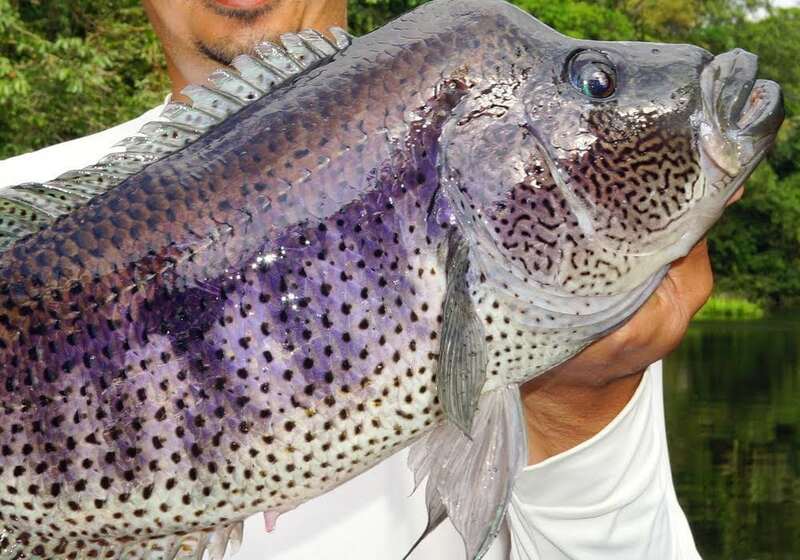 Let us introduce you to the best season for the ultimate fishing trip in Costa Rica as well as some of the fish species you can hope to catch here. There are different ways to fish for big game. 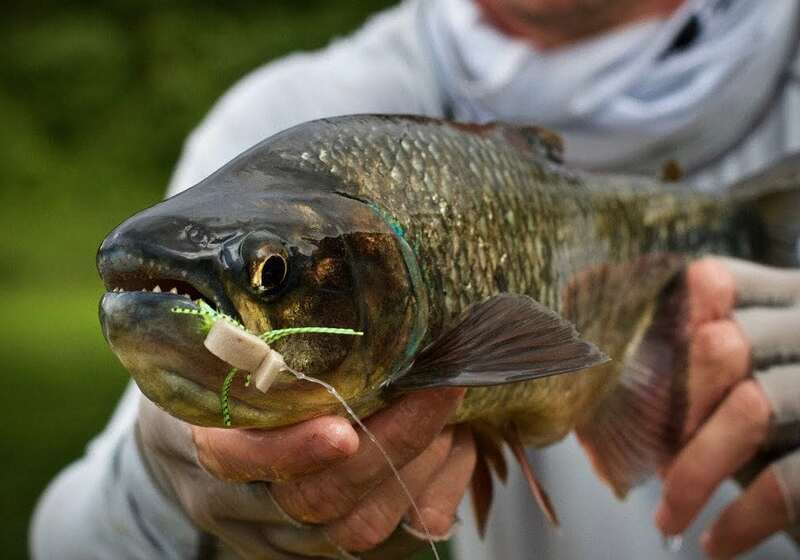 You can fish with the so called ‘troll lures’ or you can use live bait. Troll luring has the advantage that you can cover more ground at a higher speed where live bait has a more natural appeal. The areas that would host predatory game fish such as large tuna or marlins, could be taken on woth the procedure of live bait. Los Suenos Marina, Central Pacific: This Marina is located close to the Los Suenos Resort and has a full-service port where luxury sport fishing boats can dock. Crocodile Bay Sport fishing Resort, Osa Peninsula: the sport fishing enthusiast will love this bay that offers a fleet of over 40 fishing boats. 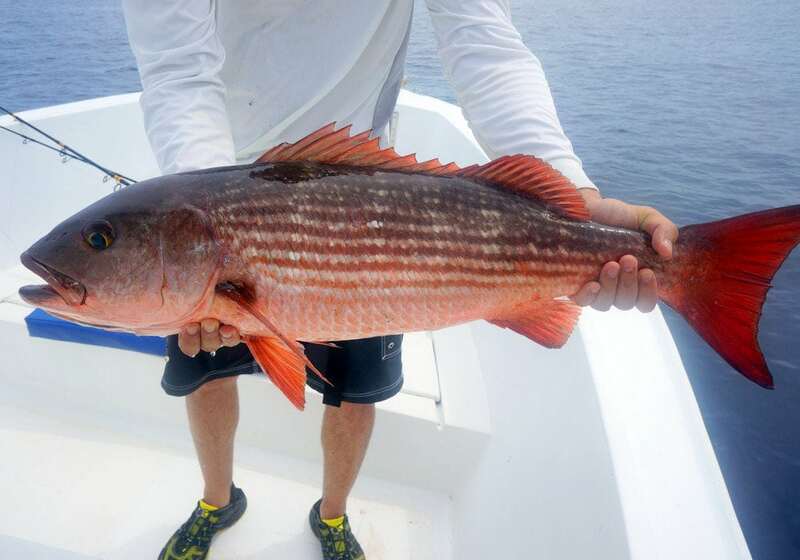 Tamarindo Sport fishing, Guanacaste: Tamarindo offers you great year-round options although you may have to visit during specific months depending on the fish you want to catch. 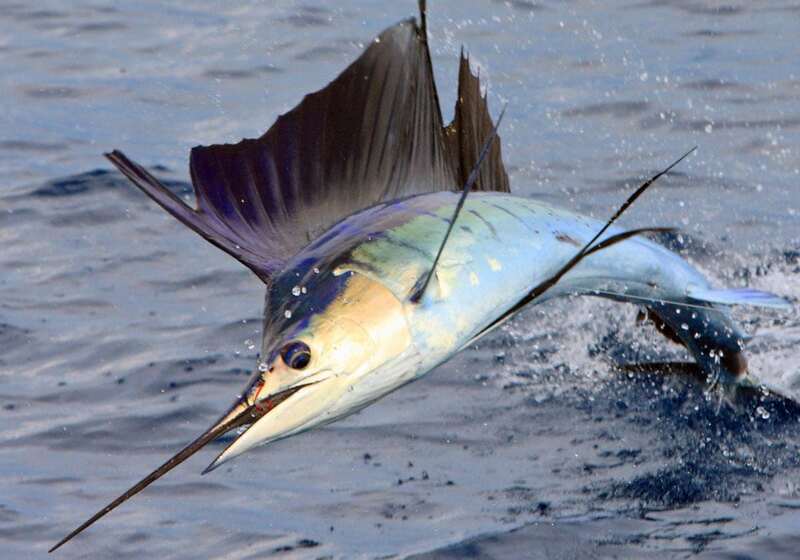 For the Billfish, you will have most luck from mid-April to August. Marina Papagayo, Papagayo Peninsula: As the newer amongst the country’s marinas, Papagayo has invested in a more sustainable approach and put and environmental design as higher priority. 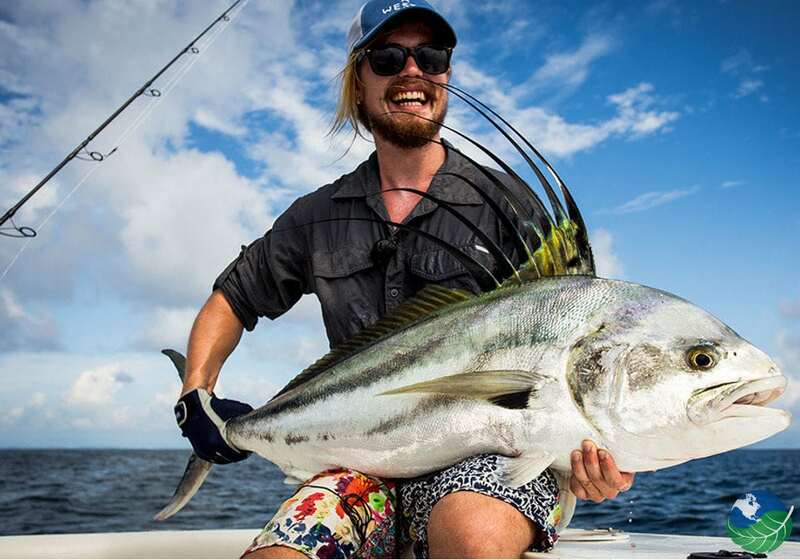 With the capacity to house super-yachts, you can fish for rooster fish, marlins and tuna here. Quepos – Marina Pez Vela, Central Pacific: The port town of Quepos has a reputation as one of the top sport fishing destinations in Costa Rica and has earned the title of Sailfish Capital of the World. Marina Pez Vela has gained a lot of prominence due to the Offshore World Championship held there. Off-shore fishing is one of the most popular activities in Costa Rica for tourists and locals alike, especially during the months of December through April. 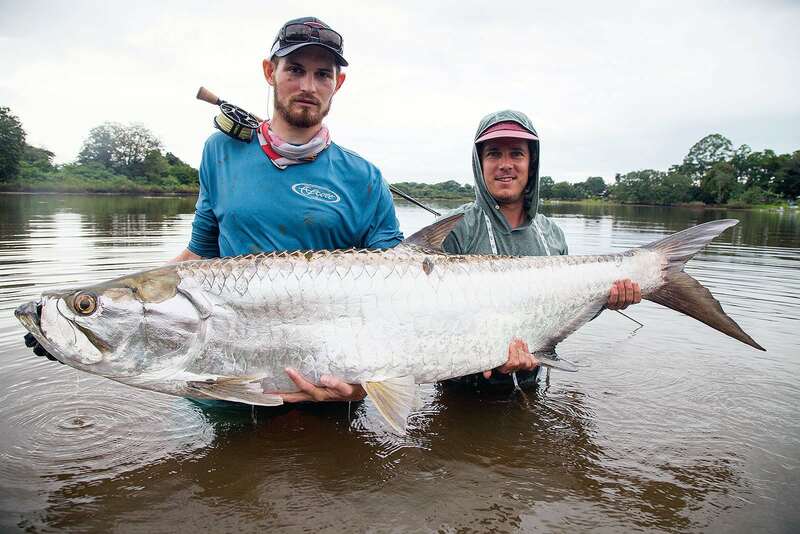 This is the Costa Rica high season and also when you have the best shot at catching the bigger fish. During the rainy season, fish dissipate because of the shift in wind currents. Billfish, Dorados and Tuna rely on oxygen rich waters for proper nutrients and from May to November these levels drop too low. During the High season, however, there are two ocean currents that push all this oxygen enriched water towards the Costa Rican coast. Roosterfish are a fighting fish and one of the most sought after species of fish. 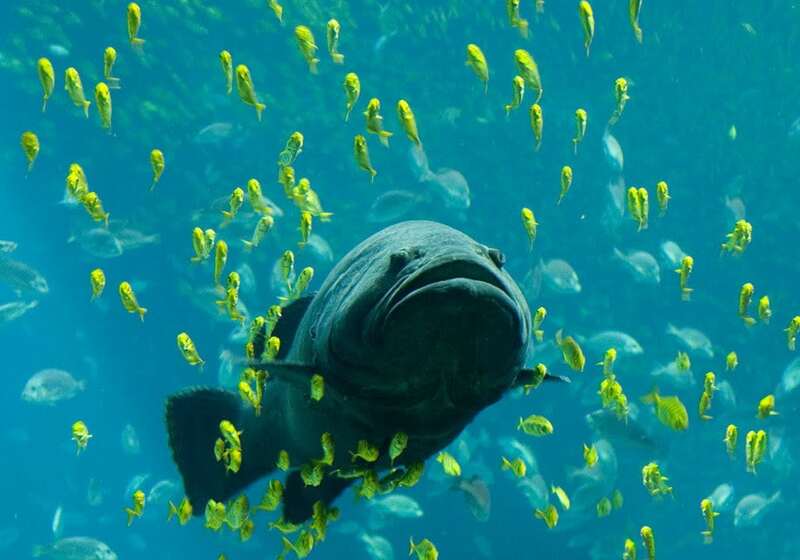 The Grouper is a large mouthed fish with several different variations. Snapper tends to be a very wary fish and keep to themselves. 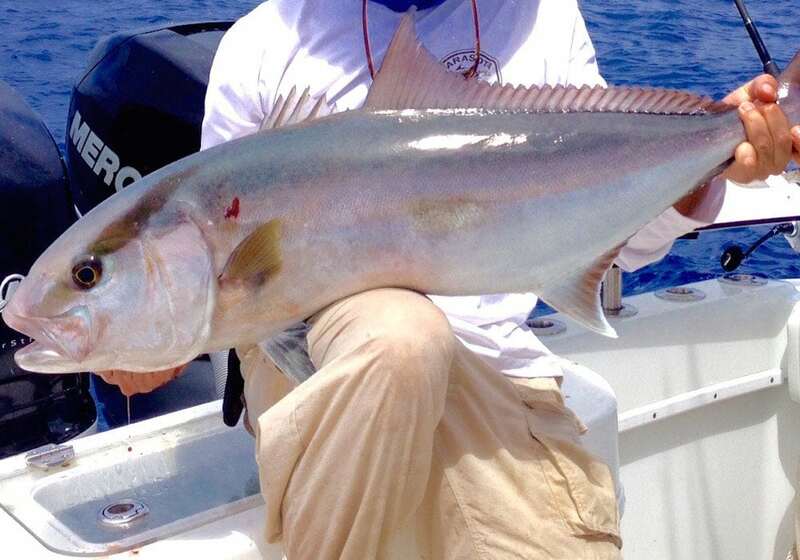 The Amberjack is a tough fish and very heavily built. The Mackerel is colorful, with a bronzy back a bluish side scales. 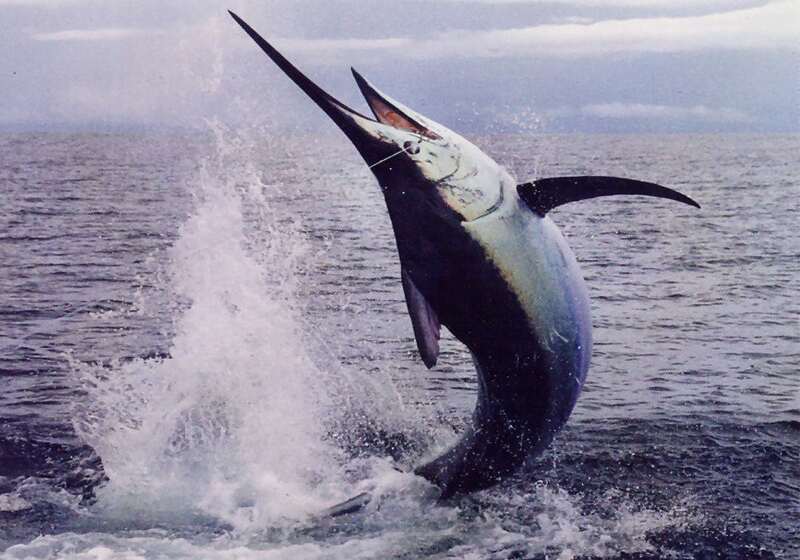 Marlin is one of the most powerful fish in the seas and put up a fight when you try to catch it. 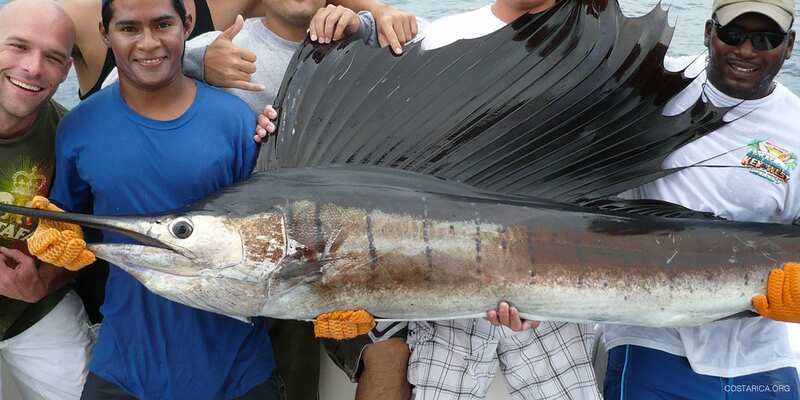 The Sailfish are known for its sail, one of the most popular between December and April. 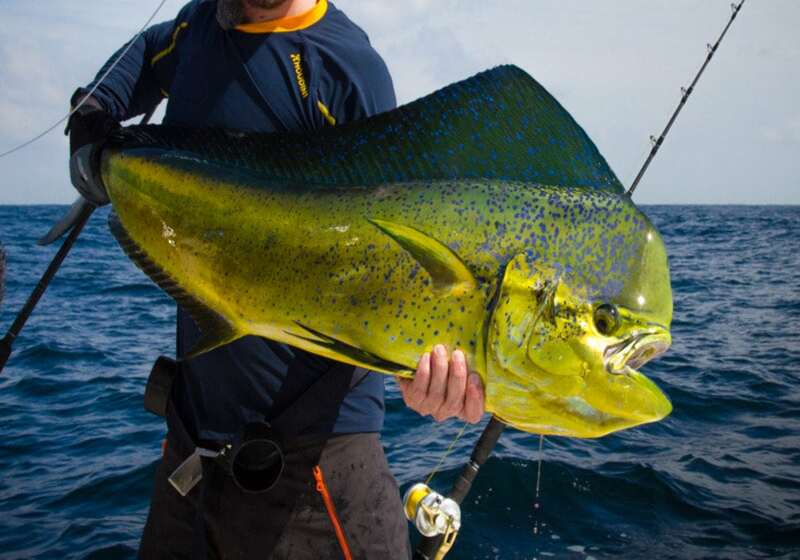 Dorado is an extremely colorful fish in Costa Rica and normal change their colors. 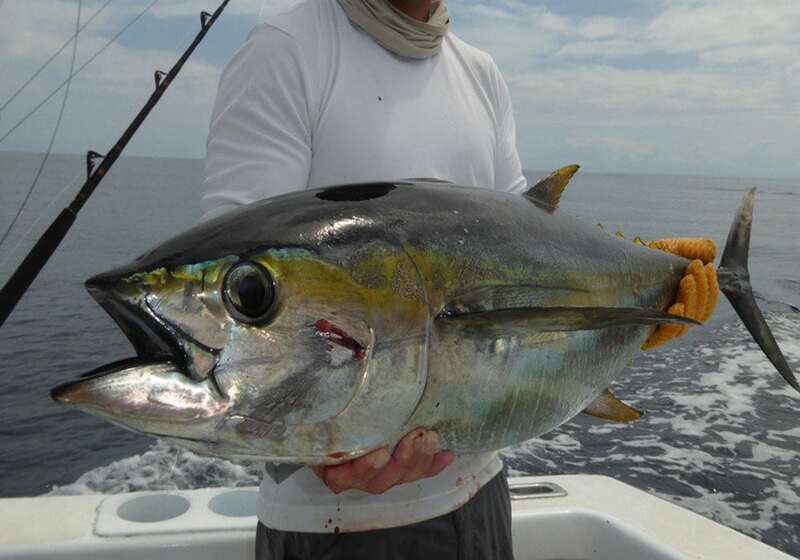 The yellow fin tuna is a feisty fish known for its jumping ability and large size. Guapote is very common to Lake Arenal. The larger they get the more colorful they will be being part of the Cichlid family. Machaca is another feisty fish and known for jumping in the air if you try to catch them. Tarpon is a large freshwater fish. Mainly found in the canal of Tortuguero.